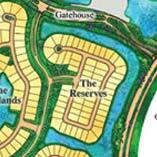 MORE FOR PRE-CONSTRUCTION HOMES IN HERON BAY & PARKLAND BAY FOR SALE! Heron Bay Real Estate Needs! This neighborhood of Banyan Isles offers 61 homes with a classic Bahama, Spanish and Italianate flair that uniquely blend classic European and vintage Caribbean influences resulting in a casually sophisticated style. 4 and 6 bedrooms are the minimum. Outstanding floor plans provide features such as impressive courtyards, split-plan garages, and spacious master bedrooms with luxurious bathrooms, tray /coffered ceilings, balconies, laundry room, designer appliances and structured intelligent wiring. 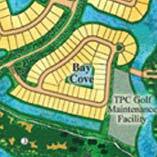 Bay Cove is the only Smaller development with golf course views. 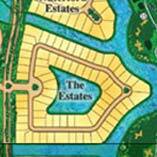 It is located in the heart of Heron Bay on the way to Heron Estates. It has Olde Brooke to the North & the golf course to the south. Small enclave of just 29 single family homes with spectacular wet lands views. Residents enjoy convenient access to the activities offered at the community recreation center. The neighborhood’s one and two story designs range from just under 2,500 square feet of living area to 3,600 square feet under air. 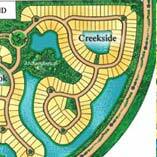 Surrounded by water and overlooking a bird sanctuary, Creekside offers 143 distinguished single family homes. Beyond spectacular views, this picturesque neighborhood features a marvelous variety of 15 elevation choices defined by symmetry and style with substantial interior volume. Some unique features are fabulous master bedroom with luxurious bath, gourmet island-kitchen with nook, coffered/volume ceiling, structured wiring and two-car garages. Situated in the northern section of Heron Bay and bordering a Conservation Area, this picturesque enclave of 240 coach homes (like townhomes) offers wonderful views of the two interior lakes and/or garden areas. 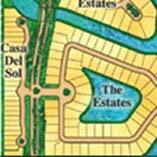 Beautifully landscaped areas feature a round-a-bout with fountain and tree-lined roadways and medians. Residents may enjoy their own neighborhood pool as well as have convenient access to the activities offered at The Commons clubhouse and at Heron Bay's new clubhouse. With 94 estate homes set on oversized lots surrounded by water, Edgewood provides a marvelous variety of distinguished luxury homes in 19 elevations with designs that feature elegant private entry courts, romantic balconies and spectacular interiors. 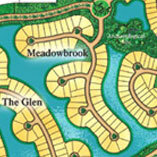 4 5 & 6 bedroom homes line the golf course & waterways. Some unique features are fabulous master bedroom with private retreat and luxurious bath, gourmet island-kitchen with nook, vaulted ceiling, computer alcove, structured wiring and split-plan garages. 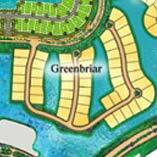 Greenbriar offers 51 homesites with spectacular water and tropical views. The neighborhood features a marvelous variety of 19 elevation choices with designs that feature elegant private entry courts, romantic balconies and spectacular interiors. Some unique features are fabulous master bedroom with private retreat and luxurious bath, gourmet island-kitchen with nook, vaulted ceiling, computer alcove, structured wiring and split-plan garages. Heron Cove is a charming neighborhood of one- and two-story single-family homes located near the north gated entrance to Heron Bay. All six classic designs created for Heron Cove feature distinctive Mediterranean styling with "S" tile roofs, raised portico entries, intelligent structured wiring and such additional luxuries as spacious kitchens with raised panel cabinet doors and designer appliances, designer tile floors and master suites with Roman tubs and cultured marble countertops & sinks in the master bath. The neighborhoods one- and two-story designs range from just over 2,700 square feet of living area to just under 4,000 square feet under air. This exclusive area of 81 custom homes offers one of the best golf course frontage available. These large homes range from 4000 to 6000 square feet of living area. Located in the center of Heron Bay, impressive water and golf views abound. 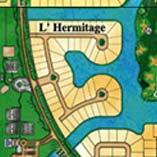 Surrounded by water and overlooking the golf course, L'Hermitage offers distinguished single family homes. Beyond spectacular views, this picturesque neighborhood features a marvelous variety of elevation choices with substantial interior volume. Charming neighborhood of one and two story single-family homes located near the main gated entrance of Heron Bay. Long Cove provides a marvelous variety of distinguished luxury homes with designs that feature elegant private entry courts and spectacular interiors. 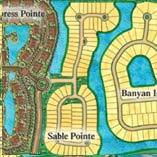 This intimate neighborhood offers just a few homesites with spectacular water and tropical views. Residents enjoy a lifestyle with relaxed island flavor and a convenient location just beyond the north entrance with access to the upcoming new north clubhouse. Meadowbrooks fifteen elevations offer homes with a classic Bahama, Spanish and Italianate flair that uniquely blend classic European and vintage Caribbean influences resulting in a casually sophisticated style. Outstanding floor plans provide features such as impressive courtyards, split-plan garages, spacious master bedrooms with luxurious bathrooms, tray/coffered ceilings, balconies, laundry room, designer appliances and structured intelligent wiring. This intimate neighborhood offers just 45 homes. 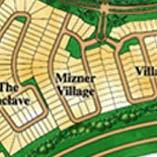 Residents enjoy a lifestyle and a convenient location near the main entrance. With rich finishing detail and unique Heron Bay flair, this collection of homes truly befitting the landscape they grace. 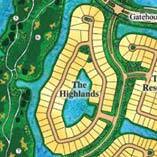 Models include the Wyngate, Sandston, Crown Colony & More. The smallest Home in OldeBrooke is 5 bedrooms & over 3500 square feet. These are Estate homes built in intimate settings with breathtaking water views or overlooking the golf course. Five spectacular designs include three-car garages, elegant private entry courts, vaulted ceilings, gourmet kitchens with granite countertops, luxurious, master baths with whirlpool Roman tubs, and structured wiring throughout. You'll find 18-inch designer ceramic tile floors in the kitchen, family, foyer, breakfast area and laundry. The neighborhood?s one- and two-story designs range from just over 4,600 square feet of living area to just over 6,500 square feet under air. 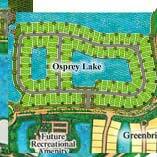 New Construction in Heron Bay at Osprey Lake. 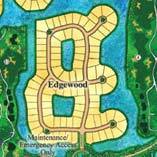 Call Ed Poirier at 954 255 0885 for floorplans, home sites & pricing. 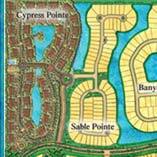 Surrounded by water and overlooking a bird sanctuary, Sable Pointe offers 143 distinguished single-family homes. Beyond spectacular views, this picturesque neighborhood features a marvelous variety of 15 elevation choices defined by symmetry and style with substantial interior volume. Some unique features are fabulous master bedroom with luxurious bath, gourmet island-kitchen with nook, coffered/volume ceiling, structured wiring and two-car garages. 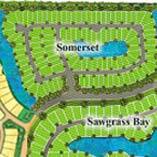 Somerset features five typical model plans, SOME designed in a distinct Southern Coastal architectural style. 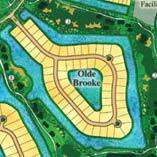 Plans include three blocks for a total of 115 homesites surrounding three pristine lakes. Floor plans range from a one-story home at approximately 2,496 square feet to the largest two-story at approximately 4,925 square feet. Each home includes a two-car garage and expansive loggias in the backyard. The Southern Coastal design is new to the community and stems from the classic coastal look reminiscent of a New England meets Key West look and feel. 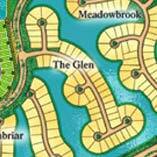 NEW CONSTRUCTION IN PARKLAND FLORIDA AT HERONBAY! This exclusive neighborhood of custom homes on oversized lots has its own separate gated entrance for extra privacy. 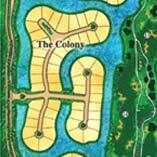 The Colony offers magnificent homes range from 4000 to 6000 square feet of living area. With exceptional craftsmanship most homes include media room, office, library and lots of luxurious details. Great golf course views on some of these spectacular Parkland homes! Estate of Heron Bay homes built in intimate settings with breathtaking water views and overlooking the golf course. Some unique features are gourmet kitchen with designer appliances, fabulous master suites with Roman tubs and cultured marble countertops & sinks in the master bath. 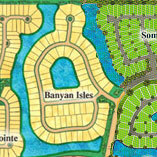 Situated in the southern section of Heron Bay, this picturesque neighborhood is surrounded by water and garden areas. Residents have convenient access to The Commons clubhouse to enjoy the activities offered. This double gated neighborhood of custom homes on oversized lots has its own separate gated entrance for extra privacy. 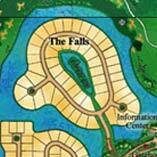 The Falls offers magnificent homes with exceptional craftsmanship. Most homes include gourmet kitchen, media room, pool/spa and impressive water and golf views. This is in the Coral Springs section of Heron Bay. The Glen offers fifteen elevations homes with a classic Bahama, Spanish and Italianate flair that uniquely blend classic European and vintage Caribbean influences resulting in a casually sophisticated style. 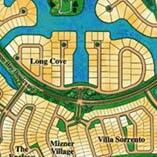 This is one of the newer communities that is close to Plaza del lago clubhouse in Heron Bay. Outstanding floor plans provide features such as impressive courtyards, split-plan garages, spacious master bedrooms with luxurious bathrooms, tray/coffered ceilings, balconies, laundry room, designer appliances and structured intelligent wiring. Over the water and across the fairway is this distinct elegant neighborhood of The Greens, a sanctuary of 110 home sites, from 2,534 to 3,541 square feet of living area. With rich finishing detail and unique Heron Bay flair, this is a collection of homes truly befitting the landscape they grace. The Highlands has some of the best golf course views in Heron Bay. With an inspired landscape of lake and golf course vistas as its backdrop, The Highlands offers luxury estate living in a picturesque setting. The neighborhoods one- and two-story designs range from just under 4,000 square feet of living area to 5,200 square feet under air. Upon exploration, one will readily discover the intelligent features and distinct elements each home offers. The one- and two-story designs range from just over 3,800 square feet of living area to just over 5,200 square feet under air. 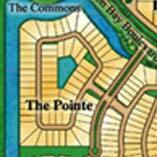 The Pointe is a neighborhood of 68 homesites with fabulous one and two story homes, most with pools. Walking distance to the community recreation center. Homes from 2,400 square feet of living area. A charming neighborhood of just 67 single-family homes, The Reserves is nestled in its own secluded enclave inside Heron Bays new north gated entrance. Distinctive Mediterranean styling and luxurious interior appointments characterize these expertly crafted residences. Choose from five home designs for every lifestyle requirement, including one-and two-story plans offering from 3,200 to 4,600 square feet of living area. 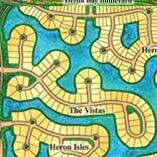 The Vistas is one of the most spectacular new neighborhoods in all of Heron Bay. 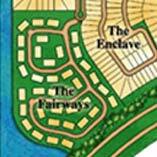 Many of its 89 select home sites offer breathtaking views of the TPC golf course, the waterfront or preserve areas. There aremany standard luxury features as well as advanced structural wiring throughout. The neighborhoods one- and two-story designs range from just over 3,900 square feet of living area to just over 5,700 square feet under air. Close to the main entrance, this unique neighborhood features one and two story single-family homes, as well as townhomes charmed by Italian old-world style. 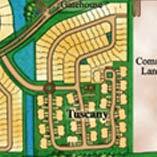 Tuscany has great curb appeal & rentals go for about $2300 per month in this section of Heron Bay. 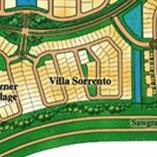 Villa Sorrento is a fascinating neighborhood of one and two story single family homes. Walking distance to the community recreation center. Homes from 2,400 square feet of living area. Residents enjoy a lifestyle with relaxed island flavor and a convenient location near the amin entrance. 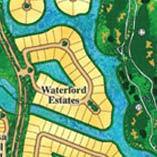 Waterford Estates has Estate homes with breathtaking water views or overlooking the TPC golf course. Spectacular designs include three-car garages, elegant private entry courts, vaulted ceilings, gourmet kitchens with granite countertops, luxurious, master baths with whirlpool Roman tubs. Via I-95 or Florida's Turnpike to the Sawgrass Expressway. Go west to Coral Ridge Drive in Coral Springs, then north to Heron Bay Boulevard. Spanning the cities of Parkland and Coral Springs, Heron Bay , a masterfully designed Golf Course Community , has blossomed into one of the most prestigious and desirable living environments in South Florida. 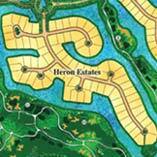 Heron Bay homes offer gracious country club living at its finest! The community's environmentally conscientious plan balances nature with sophisticated neighborhoods that have earned numerous awards and the distinction of being one of the first golf communities in Florida to be a registered member of Audubon International Cooperative Sanctuary Program. The championship 18-hole TPC golf course designed by Mark McCumber is interlaced throughout the community and offers many Heron Bay homes spectacular views and has hosted such noteworthy events as the Honda Classic.Call Ed Poirier at 954-295-8015 for Heron Bay information! The soft, natural colors, textures and flowing shapes that define the treasured architecture of Addison Mizner are reflected throughout the community. From charming townhomes to custom estates, the distinctive neighborhoods of this private, gated community create a unique lifestyle for you. Versatile floorplans provide intelligent options as well as appreciated standards including gourmet kitchens, spacious entertainment areas and designer features. Meticulously planned to exist side by side with a peaceful, nature preserve, the luxurious and exciting ammenities of Heron Bay homes find the perfect balance between elegence and simplicity. Outstanding elevations that carry a crisp, European Mediterranean flavor beautifully compliment the picturesque landscapes they adorn with many residences enjoying waterfront, golf and preserve views. 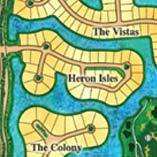 Heron Bay Homes Request Info Call Ed Poirier at 954-295-8015 for Heron Bay information. With refined Country Club grace, you can play where the Pro's have at the famous TPC at Heron Bay . 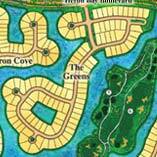 Gardens of tropical foilage highlight the communities integrated trail system leading to The Commons, Heron Bay 's outstanding recreational facility. Recharge with an intense cardio workout, hit the weights or enjoy some outdoor raquetball. After a friendly tennis match on one of Heron Bay's Har-Tru courts, relax with a refreshing swim in our waterfall pool or indulge with a dip in the Jacuzzi. Whatever the recreational or social pleasure you seek, Heron Bay provides an array of amenities to invigorate both body and soul. 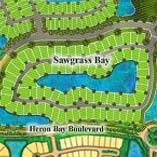 Heron Bay's ideal location also offers convenient access to all necessary services. 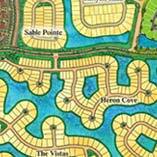 There are a wide variety of homes available in Heron Bay.